A video of a White Rabbits member, reportedly Michael Hari, a suspect in two bombing plots in Minnesota and Illinois, and the suspected leader of the militia. On March. 13, 2018, three Illinois men were arrested on federal charges and accused of being the prime suspects in two bomb plots last year. The first, which took place last August, was directed towards the Al Farooq Islamic Center is Bloomington, Minnesota. In November, the trio was allegedly responsible for a failed bombing at the Women's Health Practice in Champaign, Illinois. However, who are these men and what are their connections to the far-right movement in the United States? The three men are all reportedly members of the White Rabbits Militia, an armed far-right group based in central Illinois. According to prosecutors, one of the suspects, Michael Hari, is the leader of the White Rabbits (WR). Doing some Google searching for the WR, one can find several forum posts and over a dozen YouTube videos posted by a "Illinois Patriot." ABC 7, a Chicago-based station, has linked this account to Hari. Starting with the forum posts, the posts were made on a website called My Militia, which is used by various militia groups across the United States. The account of "Illinois Patriot" made several pleas for help on the forum, calling FBI activity in Clarence, Illinois, a "crisis." A day prior to the arrest of the suspects, the account posted a long statement about a planned protest in the town of Clarence. In the statement, several personal details were included in which ABC 7 was (presumably) able to connect the dots between the account and Hari. The News-Gazette, a local news publication in Champaign, Illinois, did a deep dive into Hari's past. What the publication found is that Hari was radicalized following the Waco siege in 1993 (as confirmed by the screenshot above.) In 1995, he became a sheriff's deputy in Ford County, Illinois, just north of Champaign. In 1998, he ran for Sheriff in Ford County as a Libertarian, but lost (again, confirmed above.) However, in 2000, he joined the Old Order of the German Bapists, a religious sect similar to the Amish. The News-Gazette also found that Hari was wanted in 2005 for abducting his daughters and fleeing to a Mennonite refuge in Belize. The case garnered the attention of Dr. Phil, who hired a private investigator to find Hari. According to court documents, Hari also has a pending alleged assault case. From Hari's posts on the militia forums, one is directed to both his YouTube account and the website of the WR militia. Beginning with the website, a prominent "declaration of armed rebellion" against the State of Illinois can be found. The "declaration" hurls a litany of complaints against the state. "Illinois is a failed republic in three respects," it begins, " the state has failed to provide basic services to the people in the area of security. In the city of Chicago, the state has tolerated and encouraged a security vacuum that has resulted in hundreds of deaths and thousands of shootings and earned the city nicknames like Chiraq." The second complaint details "failures of education," which details the State's corruption in this regard. Finally, the long-winded declaration rails against the Illinois court systems, which the militia accuses of punishing the innocent and ruining fair trials with plea bargains. Diatribes against Governor Rauner and "terror agencies" (specifically the Department of Children and Family Services), also riddle the so-called declaration. At the end, the militia is more explicit about its goals. "We declare that a State of War exists between the good people of the State of Illinois and the so-called State Government." It continues by saying, "this state of war was not caused by the people, but by the acts of the so-called state government, which has committed the acts of war listed above against the people. Only Revolution can remedy the ills of this state." Moreover, the group also addresses a portion of its declaration directly to President Trump and his administration. "We reach out to the Trump Administration to hear our plea and join our revolution—intervening to guarantee us our 6th Amendment rights, and to all other public officials of good will to join with us in our struggle," the statement says. "We fight because we do not know what else to do. We call upon all freedom loving Americans to come to our state and fight by our side for our rights." The group also claims it will not use terrorist actions, however, based on the charges pending against three of its members, including its leader, this claim is dubious at best. 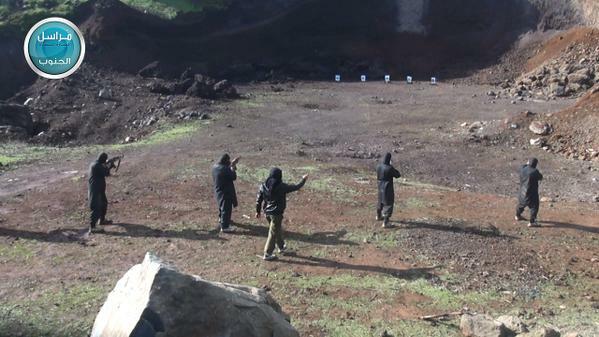 In a separate entry, the militia outlines what it determines is "armed resistance." The website also includes several "Wanted" posters for Illinois politicians, which it details are the main opponents in its "armed resistance." YouTube videos associated with Hari and the WR militia include many of the same topics, including the state of the education system in Illinois, lectures against the DCFS (five of the videos are dedicated to the agency), as well as "updates" on the group and the town of Clarence in the days leading up to Hari's arrest. The video below details the majority of these themes. It was uploaded last December, just a month after Hari is accused of attempting to bomb the Women's Health Practice in Champaign. The video includes many of the common themes, including criticisms against other far-right militias. Which is interesting, as Hari would later appeal to other far-right militias to assist his just a three months later. In the video below, these common themes are again highlighted, but this time played with overtly racist music. While the militia does not speak about racist themes on its website, its far-right nature can be seen in the two videos linked here. It is unclear how many members belong to the White Rabbits. Additionally, social media postings belonging to the group, as well as website updates, have stopped since the arrest of Hari. Hari mentioned other members in the community of Clarence, but it is unclear how true the statement was. That said, authorities have deemed the White Rabbits a domestic terrorist group. The group has promised to use guerrilla warfare tactics against the State of Illinois and as the bombing cases show, members of the group are incredibly dangerous. Guest Post: Is NATO an Effective Deterrent? Is NATO an effective deterrent? While constant reappraisal of the effectiveness of NATO as a deterrent is probably wise, recent events have made accessing alliance capabilities more relevant. The continued cutting of defense budgets across the alliance, though at a slower rate than previous years, also should motivate and factor into assessments of NATO efficacy. Al Murabitoon, a jihadist group that operates in Mali, has denied the death of one of its leaders, Mokhtar Belmokhtar. Belmokhtar was reported killed after a US airstrike on a known jihadist hangout in eastern Libya on Monday and was confirmed the target of the strike a day later. The US said that it was targeting a meeting between several jihadist groups in eastern Libya. 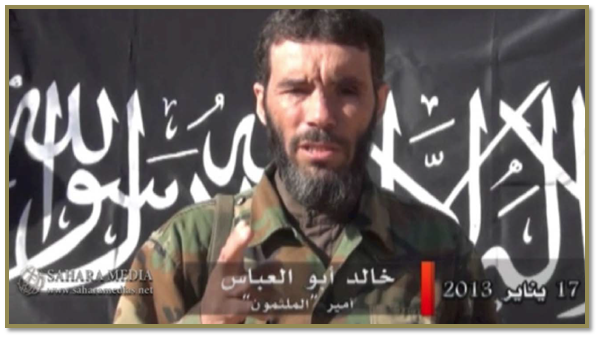 Belmokhtar is a longtime al Qaeda-veteran and pledges allegiance to Ayman al Zawahiri, the emir of al Qaeda. Al Akhbar, a Mauritanian news agency that often carries statements from Al Murabitoon and other Saharan jihadist groups, reports that the group is denying that Belmokhtar was killed in the strike. "We reassure the Islamic nation and the entire jihadist brothers of the non-veracity of the information in the reports of the death of Khalid Abu Abbas (a nom de guerre of Belmokhtar) " It goes on to say that the airstrikes killed "our brothers in the Ajdabiya Shura Council." The Ajdabiya Revolutionaries Shura Council (ARSC) is a coalition of jihadist groups in the eastern Libyan town of Ajdabiya, which is close to where the airstrikes took place, and is connected to the al Qaeda-linked Ansar al Sharia. It is believed that ARSC was hosting the meeting between the jihadist groups. While the media's attention is primarily on foreign fighters within the Islamic State, it is important to note that foreign fighters are in many other groups and even on different sides of the war in Syria. Several of these groups are from Central and South Asia with most fighting on the side of the rebels; however, some of these groups fight on the side of the Assad regime. In this post, my friend and colleague Aymenn al Tamimi and I will take a look at some of these and where their ties and/or allegiances lie. Katibat al Tawhid wal Jihad, a small Uzbek group affiliated with al Qaeda, is taking part in the recent jihadist-led offensive at Jisr al Shughur in Idlib province. The group released a video on its YouTube page showing the group's participation. The group appears to be fighting alongside Junud al Sham, the Turkistan Islamic Party (TIP) and possibly the Imam Bukhari Jamaat. Junud al Sham is a Chechen-led al Qaeda-affiliated group led by Muslim Shishani, a veteran of the jihad in Chechnya and a US-designated foreign terrorist. The Turkistan Islamic Party is another al Qaeda-affiliated group comprised of ethnic Uyghurs. The Imam Bukhari Jamaat is the largest Uzbek group in Syria and has bayah (allegiance) to Mullah Muhammad Omar of the Taliban. Several scenes shown in the video have been previously seen in videos released by Junud al Sham, which also featured "Katibat Turkistani," which is another name for the TIP in Syria. The aforementioned groups are fighting under the "Battle of Victory" coalition, which also includes the Al Nusrah Front, al Qaeda's official branch in Syria, Ahrar al Sham, Ansar Sham, Jaish al Islam, the Jabhat Ansar al Din coalition of Harakat Sham al Islam, Jaish al Muhajireen wal Ansar and Harakat Fajr al Sham al Islamiyya, and Jamaat Ansar al Islam fi bilad al Sham (the Syrian remnant faction of Ansar al Islam), along with many other groups--many of which are Free Syrian Army units. While the coalition has been successful in taking the majority of the city, fighting still rages at the national hospital and the sugar factory. Al Nusrah recently publicized two suicide bombings at the national hospital and are reported to have made gains there but a full capture has not yet been reported, while the Syrian Army still appears to be in control of the sugar factory at the time of this writing. The coalition was also able to make gains made gains in the surrounding areas. 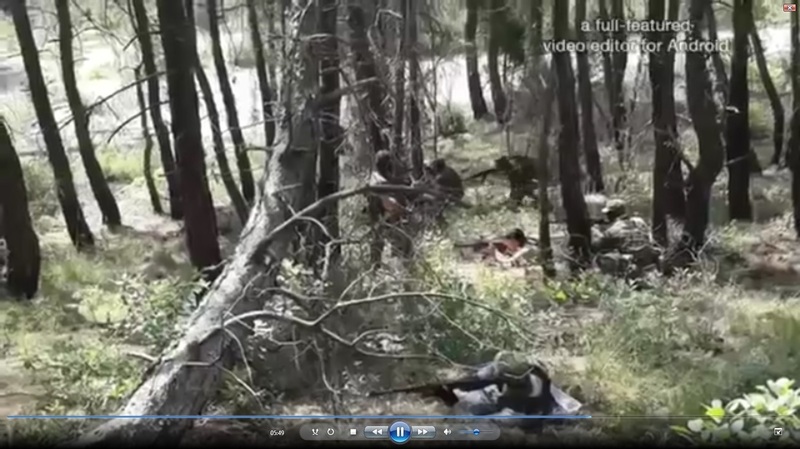 Harakat Sham al Islam, as part of Jabhat Ansar al Din, has released a video showing its forces taking Al Ghani village in Latakia near Jisr al Shughur. 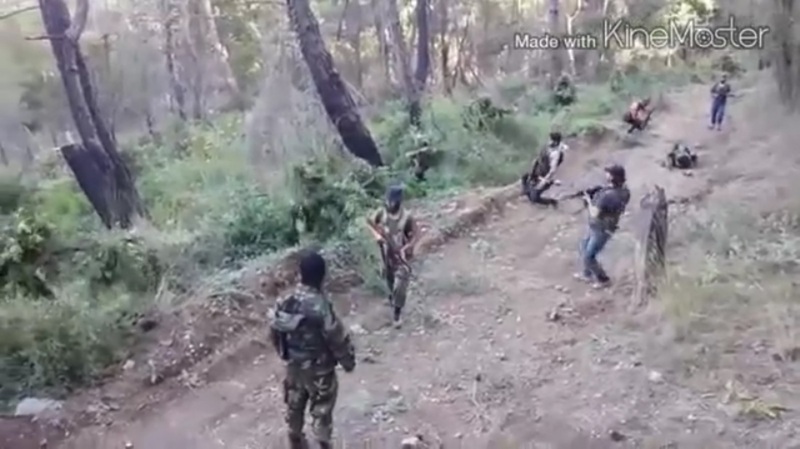 The 1st Coastal Division of the Free Syrian Army, which is also in the coalition, has posted many videos of its spoils after overrunning regime positions in the Al Ghab plain in Hama. 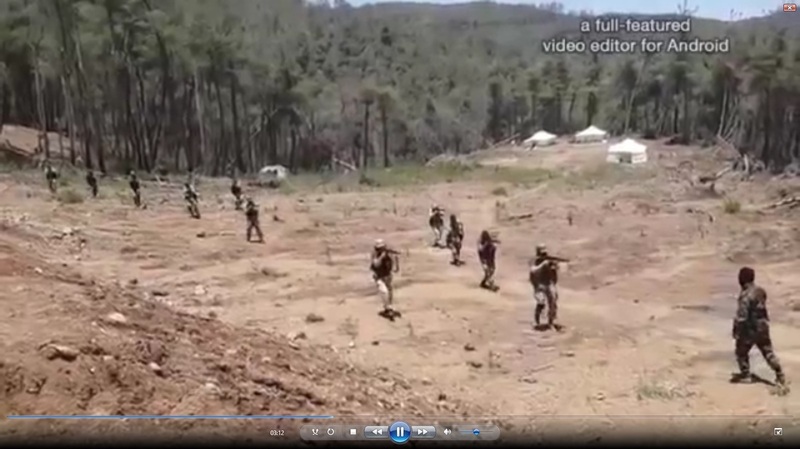 Ahrar al Sham has also released footage of its gains in the Al Ghab plain. The group was formerly an Uzbek jamaat within the Al Nusrah Front, al Qaeda's official branch in Syria. However, sometime in late 2014, the group split with Al Nusrah to become its own group. Despite splitting with Al Nusrah, the two groups enjoy close cooperation. KTJ also appears to enjoy close cooperation with the Imam Bukhari Jamaat, Junud al Sham, and the TIP. Based on the video above, it is now known the group operates in Idlib, as well as Aleppo provinces. KTJ is led by one Abu Saloh, who has been featured in several KTJ videos. Abu Saloh has also been featured in several Imam Bukhari Jamaat videos. 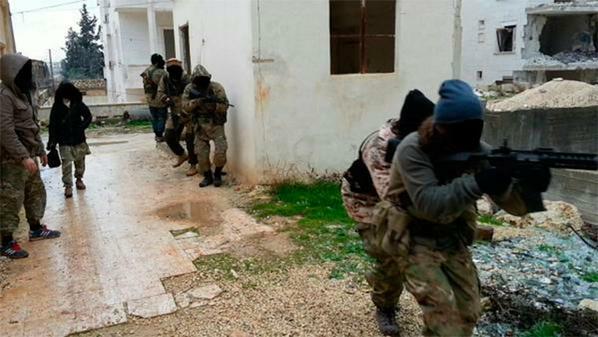 The group has publicized working with Al Nusrah and other jihadist groups near Zahraa and Nubl in Aleppo province. The group has also published photos showing the same collection of weapons that Sayfullah Shishani's Jamaat, a Chechen jamaat within Al Nusrah, captured at Al Misaat in Aleppo last year. 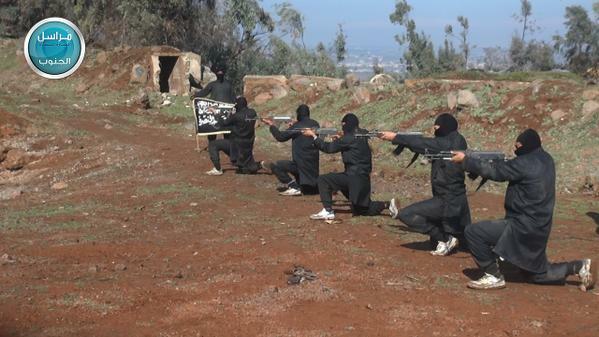 KTJ also operates a training camp, which is likely in Aleppo province. In a video released by the group, recruits are shown learning how to operate technicals, learning how to conduct kidnapping operations, as well as undergoing basic weapons training. The group is likely separate from the Seyfuddin Uzbek Jamaat, which is an Uzbek jamaat within Al Nusrah led by a jihadist named Abu Hussein. According to The Long War Journal, the Islamic Movement of Uzbekistan (IMU), an al Qaeda-affiliated group in Afghanistan and Pakistan, has recruited for the Seyfuddin Uzbek Jamaat in the past. It is unsure if the IMU did the same for the jamaat that became KTJ. In a newly released video by Junud al Sham (seen above), the group states that they are fighting alongside the Turkistan Islamic Party (TIP) in Syria near Jisr al Shughur in Idlib. In the video, an English-speaking fighter (with what sounds like a British accent) explains what has been happening in the current rebel offensive in and near the city. Muslim Shishani, the leader of Junud al Sham, also makes an appearance in the video where he is directing the fighters on the battlefield. However, before the video begins, a caption says "Katibah Turkistan and Junud al Sham." As I recently explained in The Long War Journal, "Katibah Turkistan" or "Katibat Turkistan" is simply another name for the TIP in Syria. Several jihadist Twitter accounts have previously mentioned and promoted this "Katibah Turkistan." Several of these tweets have shown photos released by Islam Awazi, the TIP's official media wing, showing its fighters in Syria. Additionally, several other jihadist twitter accounts, including one claiming to be in the area, have claimed that the TIP is taking a larger role in this fight than initially thought. One account has claimed that the TIP has captured, or has helped capture, two regime checkpoints in Jisr al Shughur. TIP and Junud al Sham are fighting under the "Battle of Victory" coalition, which also includes the Al Nusrah Front, al Qaeda's official branch in Syria, Ahrar al Sham, Ansar Sham, Jaish al Islam, the Jabhat Ansar al Din coalition of Harakat Sham al Islam, Jaish al Muhajireen wal Ansar and Harakat Fajr al Sham al Islamiyya, and Jamaat Ansar al Islam fi bilad al Sham (the Syrian remnant faction of Ansar al Islam), along with many other groups. The fighting against the Assad regime is taking place near Jisr al Shughur and Al Mastoumah in Idlib, in Latakia near Jisr al Shughur, and in the Al Ghab plains in Hama. For more on this fighting, see my colleague Thomas Joscelyn's report on this here. The TIP fights in China, Pakistan, Afghanistan, and in Syria. In the latter country, the TIP has long operated in Syria alongside the Al Nusrah Front in Idlib. In May of last year, one of its fighters, identified as Dadullah al Turkistani, detonated himself as part of a coordinated assault with Al Nusrah in the northwestern province. That same operation included the detonated of American Nusrah fighter, Abu Hurayra al Amriiki. The TIP, through its media outlet Islam Awazi, has identified several of its fighters killed fighting alongside Al Nusrah in Syria. Several TIP senior leaders have also been appointed to top positions in al Qaeda’s network in Pakistan. For example, Abdul Shakoor Turkistani, the former emir of TIP, was also appointed by al Qaeda to lead its forces in Pakistan’s tribal provinces. For more on this, see my colleague Bill Roggio's report on this here. Junud al Sham is a group predominately comprised of fighters from the North Caucasus, but also includes some Western fighters such as Chechen diaspora from Germany or Austria. The group also has some British fighters, according to Aymenn al Tamimi. Muslim Shishani has fought in the Caucasus under Ibn Khattab, a Saudi who led al Qaeda’s International Islamic Brigade in Chechnya. Muslim has been in Syria since 2012, according to From Chechnya to Syria. Muslim was designated by the US as a foreign terrorist in Sept. 2014. 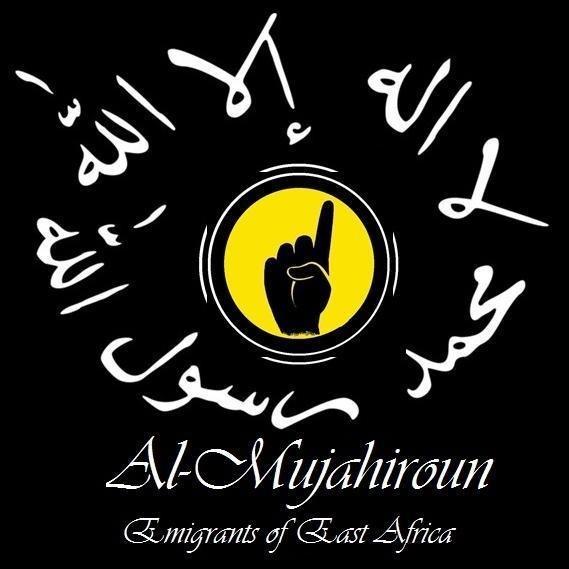 A new jihadist group operating in East Africa emerged in late January, calling itself Al Muhajiroun in East Africa. The organization--which according to the Arab newsource Al Jazeera may be an offshoot of al-Hijra--has pledged bayah to both al-Shabab and Al-Qaeda. Very few details about this group have emerged out of the woodwork, aside from self-published materials from the group's leadership. Despite their loyalties, it appears that Al-Muhajiroun is "more aspirational than real." While the group is nominally aligned with al-Shabab, we shouldn't expect to see any operations in Somalia in the near future. Matt Bryden of Sahan Research has noted that the group's orientation is "more Swahili than Somali." Currently, the group is based in Kenya with the primary intention of exporting jihad across East Africa more generally. Specifically, it appears they are emphasizing Tanzania, which has been frequently mentioned in their press releases. Shortly after they announced their allegiance to al-Qaeda and al-Shabab, a public announcement was issued to the people of Tanzania to "protect our shiekhs." In a publication entitled "Protecting our Shiekhs, they wrote, "To sit by idly, and watch the government of Tanzania harass, intimidate and humiliate our Sheikhs is untenable and must now end. Ending such a policy and tactic in Tanzania is not just the responsibility of the Mujahideen but also of all Muslims in Tanzania." When it pleases Allah, we will return to Mwanza. The group is also composed of members from a number of Western countries, highlighting the threat of educated extremists traveling to nations for the purpose of propagating or enacting ideology. In a tweet published on March 18, 2015, the group stated it welcomed recruits from France, Canada, and Australia. Bila shaka tuna karibisha Mujahideen kutoka Canada, Australia na France! They have also linked to a news stories concerning the jihad in Tanzania. Here they discussing al-Shabab's actions in the country. In this tweet, they link to an article about three Tanzanians who have been charged with facilitating terrorism in Kenya and Somalia. In the first edition of their magazine, called Amka, which is Swahili for "wake", the group expressed its condolences for the death of al-Shabab's leader, Ahmed Abdi Gobane. Gobane was killed by a U.S. drone strike in September, 2014. Further, they also announced bayah to al-Shabab and lauded the Charlie Hebedo attacks. Established in 2008 as the Muslim Youth Center, al-Hijra is al-Shabab's affiliate in Kenya. However, its roots are much deeper. During the 1990s, when Sheikhs Rogo and Makaburi were members of the Islamic Party of Kenya, and began moving into Al-Qaeda circles. While both leaders were allegedly killed in a series of extrajudicial killings by Kenya's Anti-Terror Police Unit in 2012, al-Hijra has continued to flourish. The group has helped facilitate a number of attacks in conjunction with al-Shabab, including the deadly 2013 attack on the Westgate Mall in Narobi. A great deal of al-Hijra's actions revolved around acting as a support and recruiting mechanism for al-Shabab. For instance, Abdulkadir Mohamed Abdulkadir, a key figure in both al-Shabab and al-Hijra also known as Ikrima, is an operations and recruitment officer who was plausibly involved in Westgate Mall attack's planning. However, they also have a formidable operational capacity. Currently, they stand at about 1,000 members, many of whom are seasoned and dedicated fighters from fighting in Somalia. They have also been implicated in a number of bombings and smaller attacks across Kenya. Al-Qaeda's involvement in Tanzania is by no means new. The group has conducted operations there since its earliest days as an organization in the 1990s. In 1998, Al-Qaeda conducted a major attack on the U.S. embassy in Dar es-Salaam. More recently, an Al-Qaeda branch called "Muslim Renewal" beheaded a Catholic priest and then shot a parishoner in 2013. In the same year, Muslim Renewal terrorists detonated a bomb outside of a new Catholic church, killing 3 and injuring 60. However, the international community has failed to curb growing extremism and strife in Tanzania. As Jay Radzinski and and Daniel Nisman have noted, "In an all-too-common trend, it could only be a matter of time before Al Qaeda’s veteran terrorists elsewhere in the world take note of Tanzania’s revitalized extremist potential. The combination of economic strife and religious conflict provides fertile ground for these elements to sow their seeds of instability." It appears, unfortunately, that Al-Qaeda has recognized this potential and have put into place an organization bent on seizing the initiative. The establishment of this group is likely a part of AQ's broader strategy of expanding operations in East Africa. While al-Hijra continues to focus on Kenya, Al-Muhajiroun may act as the group's principle organization concerned with spreading terrorism in Tanzania. This is, in part, evident by the group's heavy emphasis on Tanzania in their media strategy. Furthermore, the tense socio-political environment in Tanzania is a prime environment for the group to thrive in. Abu Hafs al Masri, an Egyptian, was killed yesterday while fighting for Ahrar al Sham in the ongoing offensive in Idlib city. His death has been heavily touted by various jihadist sources on social media, however, no official martyrdom statement has been released by Ahrar at the time of publication. Al Masri has also been touted as a longtime veteran of al Qaeda. It appears Al Masri was, at one point, a military commander for al Qaeda in Afghanistan. Several tweets indicate that he was a trainer for al Qaeda's forces in the country, while another suggests he has also fought for al Qaeda in Somalia. Neither can be independently verified at this point, but the claim that he was a military trainer in Afghanistan is very likely. This is not the first al Qaeda veteran killed while fighting for Ahrar al Sham in Syria. The most famous example is that of Abu Khalid al Suri. Al Suri, whose real name was Mohamed Bahaiah, was killed last year in Aleppo likely by the Islamic State. According to The Long War Journal, al Suri was Zawahiri's key representative in Syria and acted as a mediator between al Qaeda's Al Nusrah Front and the Islamic State. Citing intelligence officials, my colleague Thomas Joscelyn continues by saying that there are other al Qaeda figures within Ahrar, as well as "al Qaeda has influence in organizations that are not officially recognized as affiliates or branches of the group." Al Qaeda veterans fighting for Ahrar is not surprising as al Qaeda was very instrumental in its founding and has been able to have members in leadership positions within the group. Not only that, but Ahrar fights very closely alongside al Qaeda in Syria. In almost every major offensive Al Nusrah is involved in, Ahrar is also there alongside the al Qaeda branch. The current rebel offensive in Idlib consists of several allied rebel groups advancing on the regime-held city of Idlib. The rebel groups are fighting under a coalition named Jaysh al Fateh; however, Al Nusrah Front appears to be leading the offensive. Ahrar al Sham, Jund al Aqsa (a group largely composed of foreigners), Ajnad al Sham, Jaysh al Sunna, Liwa al Haqq, and Faylaq al Sham (Sham Legions), and several other Free Syrian Army groups are also in the coalition. The past few days, the coalition has been able to capture more than a dozen checkpoints and make headway into the city. Additionally, Al Nusrah has publicized the use of US-made TOW anti-tank missiles in the offensive on its Twitter and YouTube pages. Ahrar al Sham and Jund al Aqsa are also playing a major role in the offensive. Jund al Aqsa participated in the opening stages by launching two suicide bombers, one Saudi and another Kuwaiti, on regime checkpoints. Ahrar al Sham has released several videos on its YouTube account, including one showing its fighters advancing in the city. Others show its fighters targeting regime positions in the city. The Syrian Observatory for Human Rights (SOHR) is reporting that around 17 "Islamic fighters" were killed in the clashes yesterday, while 11 regime soldiers were also killed. SOHR did not say which group(s) these fighters came from, but almost certainly Ahrar has lost several soldiers. 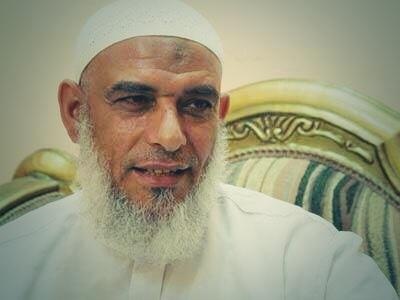 It is also almost certain that al Masri is not the last al Qaeda veteran within Ahrar's ranks. This post will be updated when a martyrdom statement for al Masri is released or more information is available. The rebel coalition, Jaish al Fateh, has claimed victory in Idlib. Al Nusrah, Jund al Aqsa, Sham Legion, and Ahrar al Sham have all released photos and videos from inside the center of Idlib today. These photos and videos show celebrating fighters and civilians, fighters tearing down pictures of Bashar al Assad, fighters destroying a statue of Hafez al Assad, and fighters occupying government buildings. For photos from these videos, please read Thomas Joscelyn's post by clicking here. Since the beginning of crisis in Yemen on September 21, 2014, when fighters seized the city of Sana'a in an apparent power grab, the security situation in the country has continually deteriorated. Events took a dramatic turn for the worse in late January, when President Hadi's presidential residence was seized, he was forced to resign, and his government relocated itself to Aden. By February 6, Houthi representatives announced that the group had taken control of the government and would establish a "presidential council" to lead the nation for two years while special committees would be charged with the creation of a new parliament. However, while Hadi has managed to maintain a tenuous grip over parts of the country, his governance has been burdened with numerous challenges and setbacks. Most recently, Houthi rebels essentially seized the city of Tiaz as this post was being published. Yemen's precarious situation has been made worse by the Obama Administration's decision to remove U.S. Special Operations Forces and evacuate diplomatic personnel. Furthermore, over 500 million dollars worth of equipment provided by the DoD for Yemen's special forces remains unaccounted for. Internally, Hadi is contending with numerous divides within his government. Following the seizure of Sana'a, the military did not intervene after the moral guidance division pledged support for Houthi rebels. Meanwhile, the Special Security Forces have opposed the government's authority, which violently manifested itself in an attack on Aden's airport. Subsequently, the army has reportedly made moves to secure the SSF's base in the city. While many authorities and citizens have declared support for Hadi, the extent to which he controls the nation's fractured political system remains unclear. As of now, it appears that both sides exert a significant amount of clout over national and regional institutions. As it pertains to American interests, the current situation is somewhat worrying in several ways. First, it represents yet another victory for Iran in their pursuit of regional hegemony and geopolitical dominance within the Middle East. According to Reuters, the Iranian Revolutionary Guard Corps has a few hundred soldiers training Houthi rebels in Yemen. Furthermore, Secretary of State John Kerry confirmed last month that Iran had contributed to the Houthi takeover, though whether they are exerting command and control influence over Houthi rebels remains unclear according to White House spokesman Josh Earnest. It is likely, however, for Yemeni allegations that Iran has financed Houthi rebels to be valid. Houthis are a Shiite ethnic group who oppose Iran's ideological and political rivals, thereby making them a natural proxy for Tehran to further its aspirations in the region. 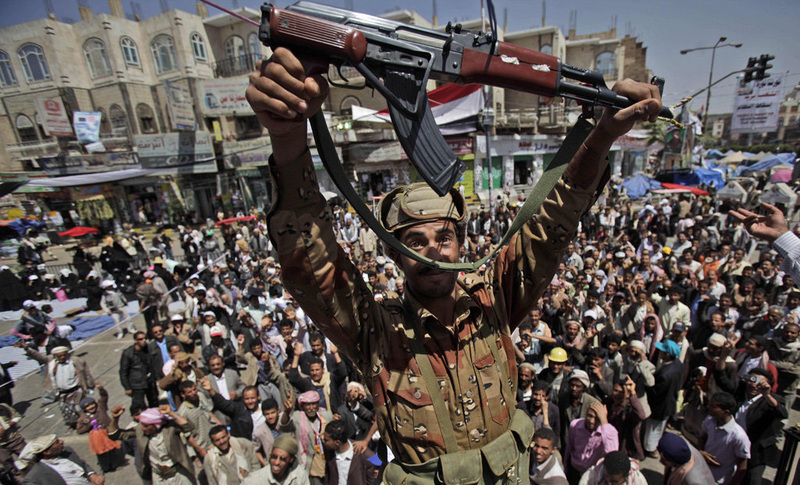 The second concern stems from the emerging power vacuum in Yemen. As a result of recent tumult, al-Qaeda in the Arabian Peninsula (AQAP) has been granted the opportunity to consolidate and expand its power in the country. The decision to evacuate American special operators came as a result of AQAP briefly seizing the city of al-Houta. On February 19, 2015, AQAP captured a Yemeni military base in the Bihan region of Shabwa province. Furthermore, increasing sectarian violence will only serve to worsen polarization among Sunni and Shiite citizens, providing an ample source of recruitment for Al-Qaeda. Nasser bin Ali al Ansi, a high-ranking leader within both AQAP and the wider global network, was quick to denounce the "rafidah" and proclaim itself as a source of protection for Sunni Muslims after the Houthi's startling victories in January. So while the government collapses due to pressure from internal divisions, Al-Qaeda will be given free reign to expand its influence across Yemen's southern and eastern provinces. It is clear that a new dynamic has emerged within Yemen's civil war, where three significant factions vie against one another for power in the country. Two powerful players, Al-Qaeda and Houthi separatists, both threaten American security interests in the country by undermining Hadi's grip on power. What remains unclear is how the United States intends on addressing this threat. Map of jihadist training camps in Iraq and Syria. Map made by Bill Roggio and Caleb Weiss for The Long War Journal. The US has launched almost 3000 airstrikes in Iraq and Syria since September 2014. Despite this, the Islamic State continues to churn out more recruits and more fighters at its various training camps in Iraq and Syria. Other jihadi groups are doing the same. Estimates based on jihadist social media accounts, press reporting, and statements released by the US Central Command (CENTCOM) and the French Ministry of Defense (MoD) suggest that there are currently more than 90 jihadist training camps in Iraq and Syria (see map above). The Al Nusrah Front, al Qaeda's official branch in Syria, runs at least 20 camps, while jihadist groups allied to Nusrah run 31 camps. The other 41 camps are ran by the Islamic State. At least 10 camps overall are exclusively for children. Furthermore, there are likely more camps in operation in Iraq and Syria that are not publicized and have not been publicized. However, some camps are likely to no longer be in operation. According to CENTCOM and the French MOD, Coalition aircraft have conducted strikes on training camps in Iraq and Syria at least 21 times. Of these, at least 19 airstrikes have targeted camps ran by the Islamic State, while at least two strikes targeted camps ran by Al Nusrah's "Khorasan Group". In September, when the U.S.-led coalition launched strikes in Syria, the U.S. forces expanded their strikes to the "Khorasan Group", which was allegedly plotting attacks on Western targets. Further strikes were conducted on the group in November, which the Defense Department says, " was plotting to attack in Europe or the homeland, and we took decisive action to protect our interests and remove their capability to act." Despite this expansion of strikes beyond IS, many jihadist training camps remain untouched by American bombs. The camps are important targets because they are crucial for recruitment, propaganda and training. These very same tactics allow these groups to make significant gains on the battlefield. The head of the Defense Intelligence Agency recently said that Al Nusrah stands the very real potential to gain ground in Syria in 2015. Undoubtedly, the methods and tactics taught these camps help in that endeavor. However, these same tactics have the potential to be used in attacks on the West. In light of the revelation that at least one of the Paris attackers attended an al Qaeda training camp in Yemen, or the attackers in this week's deadly attack in Tunisia attending a jihadist training camp in Libya, the danger of jihadist training camps in Iraq and Syria should be even more evident. While al Qaeda has traditionally trained recruits for local insurgencies or to help allied groups, it has allocated some recruits to external operations such as the "Khorasan Group". The Islamic State could very well do the same. 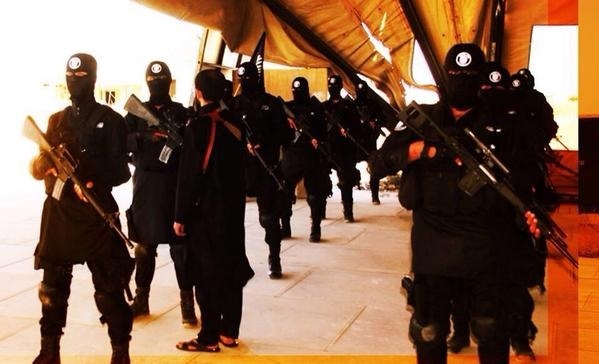 Looking at training camps ran by Al Nusrah, the Islamic State, as well as its Sabri's Jamaat, Junud al Sham, Jamaat Ahadun Ahad, and Katibat al Tawhid wal Jihad, one can get a good idea of the military tactics being taught to new jihadist recruits. As said above, these tactics are taught mainly for use on the battlefield, but bear the very real potential of being used in terror attacks in the native countries of these recruits. The Al Nusrah Front, which runs training camps in Aleppo, Idlib, Homs, Hama, Damascus, Daraa and Quneitra, often shows off the tactics shown in its camps. However, in its most recent picture series, it showed off it weapons training for new recruits. Recruits, as seen below, are shown learning how to properly handle and shoot AK-47's. 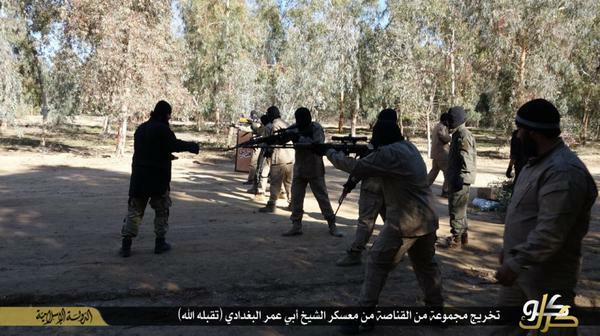 The Islamic State also likes to tout its training camps. A prime example is that of its Sabri's Jamaat, a unit comprised of Dagestani's, Uzbek's and other Central Asians. In a video uploaded to YouTube, the unit showed off its fighters partaking in a series of physical exercises and weapons training. However, the end of the video showed fighters learning more advanced skills, such as clearing buildings. The photo below shows fighters from Sabri's Jamaat rehearsing forced entry techniques using what appears to be a flashbang grenade. 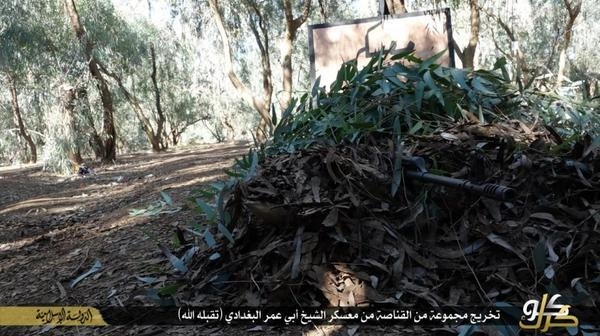 Additionally, the Islamic State has showcased its training for snipers near Kirkuk in Iraq. These pictures showed several recruits with Dragunov SVD sniper rifles in a wooded training camp named after Abu Omar al Baghdadi, the former emir of al Qaeda in Iraq. 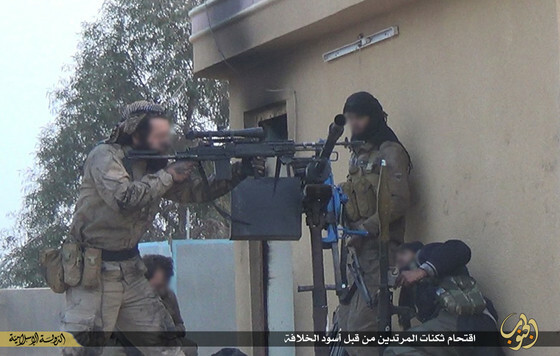 Islamic State snipers are commonly advertised in IS propaganda, including most recently with more advanced US-made Mk. 14 EBR rifles – likely seized from Iraqi special forces. Junud al Sham, a Chechen-led group in Latakia allied with Al Nusrah and headed by the US-blacklisted Muslim Shishani and veterans of the Chechen jihad, has promoted other examples of tactics being taught in jihadist camps. In recent photos released by the group, Muslim Shishani is shown teaching some of his fighters in how to conduct reconnaissance missions. 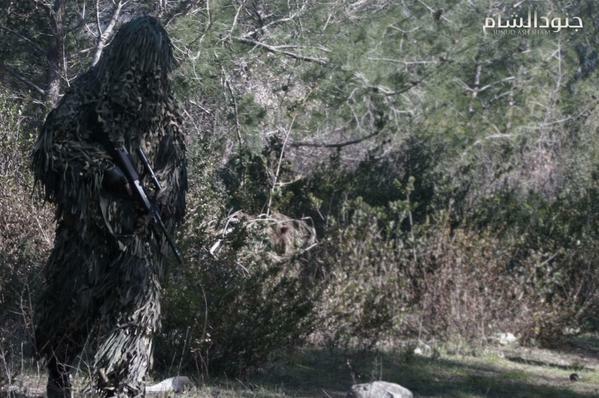 Fighters can be seen wearing ghille suits for concealment, while other fighters are practicing stalking adversaries in a wooded environment. According to the group, the fighters shown make up its "Recon Team 1" implying that they have multiple reconnaissance teams. Jamaat Ahadun Ahad is another Chechen group allied with Al Nusrah and Junud al Sham which operates in Latakia. Not much is known about the group as they prefer not to publicize their activity. However, in August 2014, a video was uploaded to YouTube showing a training camp ran by the group. In several scenes, its fighters are shown practicing small unit tactics. 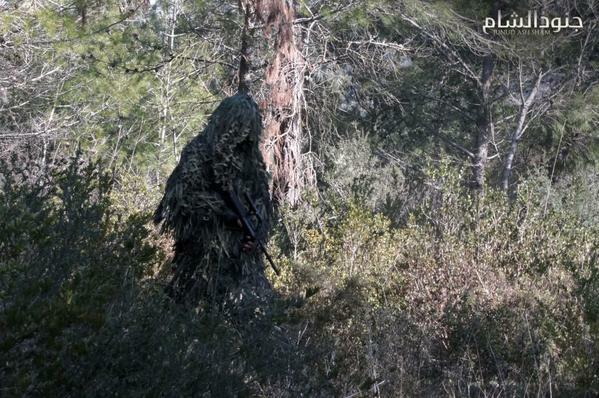 These tactics include learning setting an ambush, as well as methods to properly maneuver on the battlefield. The group Katibat al Tawhid wal Jihad, is a small Uzbek group that operates alongside Al Nusrah and the larger Uzbek group, Imam Bukhari Jamaat, in Aleppo. In its training camp video uploaded to YouTube two months ago, its fighters are shown being instructed on how to operate a heavy machine gun mounted on a technical (armed pickup truck), how to clear buildings, and even kidnapping techniques. A video uploaded later to it channel also shows the group teaching recruits how to build and set improvised explosive devices. Several groups have showcased training with western weapons, including the Islamic State and Jaish al Muhajireen wal Ansar (JMA). JMA, which considers itself the Syrian branch of the al Qaeda-affiliated Caucasus Emirate, has shown at least one fighter training with the Heckler and Koch HK416. The Islamic State, on the other hand, has showed off its use of the M16 on numerous occasions; the M16 were likely captured from the Iraqi Security Forces. How a fighter in JMA obtained an HK416 remains unclear. Considering Turkey’s porous border and the number of foreign fighters believed to be in Syria and Iraq, it should be worrying that so many terrorist training camps lie on Europe’s doorstep. Lessons learned in a training camp in Iraq or Syria bears the potential of being used in a terrorist attack when these foreign fighters return to their native countries. The international coalition should do more to target these camps in both Iraq and Syria to help mitigate this threat. Special thanks to Patrick Megahan of the Foundation for Defense of Democracies in helping to edit this article.